For the first time in the DUO series, there is the “1-Ring-Seals-Concept”. This means that there is only one seal in the entire body, and because this is a captive double o-ring, it means that there are no other weak points for water ingress. 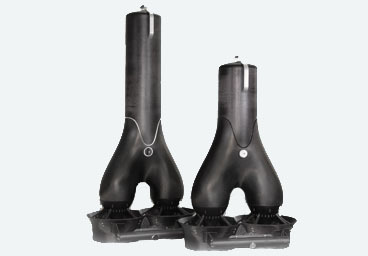 All of the scooters in this series have a depth rating of 200m, however, the DUO is also available for working depths of 400m. Brushless, water cooled torque-motors are extremely durable under load and the high torque generated from these motors results in a gearless direct drive. These features yield very quiet, practically wear-free, low maintenance and thermally problem-free efficient power delivery. In the event of something getting caught in the propeller, being able to easily remove it is a real benefit. Our newly developed quick lock system allows the propeller to be removed, replaced and safely locked into position again in a matter of seconds. The IFC (Infinity Flux Control) guarantees true, single handed control, by simply rotating the settings knob. The propeller speed can be monitored via the LED display. Applying a little pressure on the settings knob will change the display to show the remaining battery capacity and will automatically show a warning signal when the battery is running low on power. 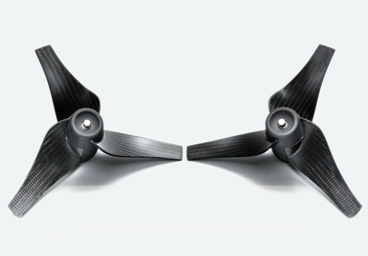 All of the scooters in the MONO, DUO and TWIN series are available in various configurations. Being able to select from those configuration options provides choices of performance, speed and endurance that match your needs. The IFC controller also has multistage or constant speed settings that assist battery power conservation. The perfect carbon scooter, for every purpose. For our carbon scooters, we use the same proven UN-T-certified lithium-ion battery packs that were previously used in our UwaStar battery canisters. 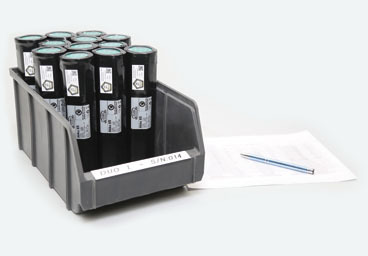 Depending on the model, four, six, eight or up to twelve individual high performance battery packs are installed. In any event each of them can be charged, checked, inspected and, if necessary, changed individually. The batteries have been adapted for fast charging and a specifically developed BMS (Battery Management System) guarantees safe battery handling and management. When manufacturing our products, we place great value on using durable, high-quality materials. 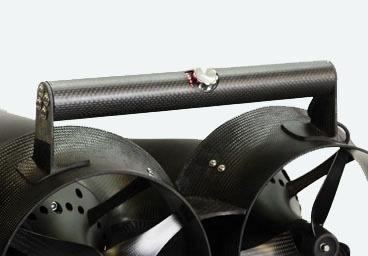 The motor and controller components are manufactured in Germany to our specifications and those parts are then integrated into our carbon scooters which have also been developed and manufactured in Germany by WingsAndMore GmbH & Co. KG and its qualified specialists. 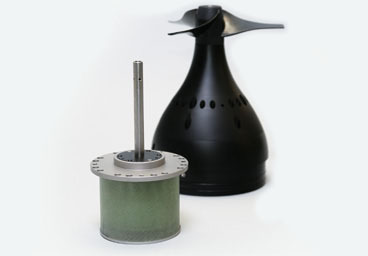 By the very nature of their design, conventional scooters require the diver to compensate for the torque effect generated by the propeller. 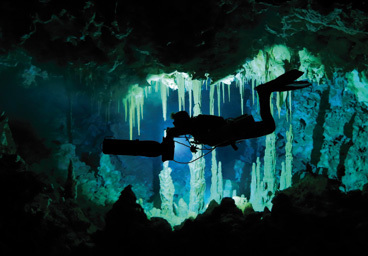 This often leads to tiredness and fatigue for the diver and will therefore have a negative effect on the decompression process. 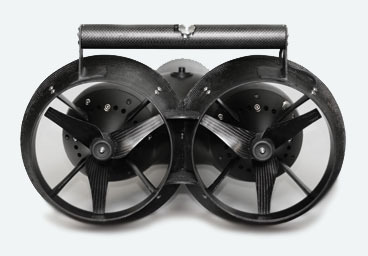 Our DUO and TWIN series scooters work with two counter-rotating drive systems which result in a high performance, torque free scooter that can be used in comfort throughout the dive. Despite those two independent drive systems, clever design and construction made it possible for the DUO to remain a very compact scooter.